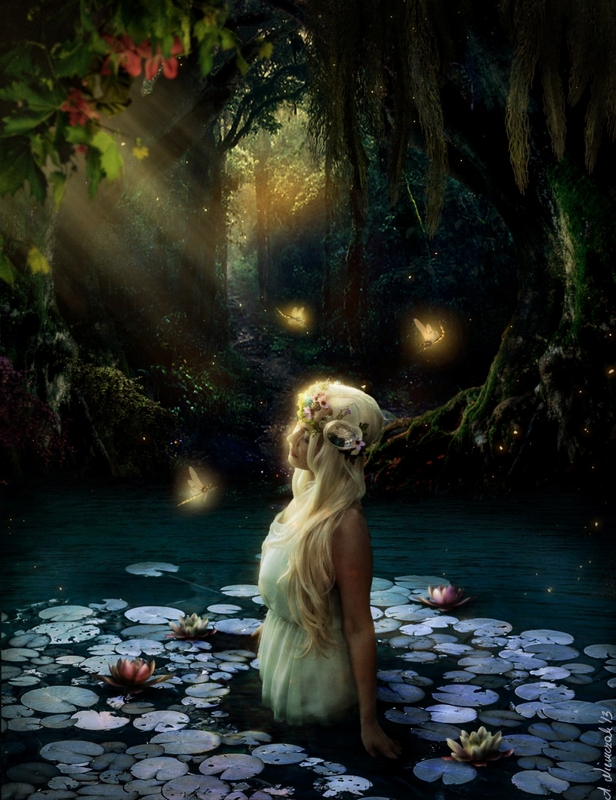 Naiad: (NIGH ad) In Greek mythology, a type of nymph associated with streams and other bodies of fresh water. In Elf Mastery, naiads are shown to have the ability to control water, though whether this is an innate skill or learned magic is so far unclear. Nymph: (nimf) In Greek mythology, nymphs are female nature spirits known for their physical beauty. They are related to various land forms. At least three kinds of nymph - dryad, alseid, and naiad - are represented in Elf Mastery. Nymphs don't age, but as Eunoe points out they can still be killed and are thus not truly immortal as is often believed. Nymphs are prized consorts and sometimes taken as trophy wives, though this practice is becoming less common. Nyx: (niks) In Greek mythology, the goddess of night. Daughter of Chaos and sister of Nyx. Though in the mythology she and Erebus had many children together, this is not the case in Elf Mastery. She is one of the exiles banished to the Oort cloud after the war against the creatures who desired Order. Oberon: (OH ber on) King of the Fairies in Renaissance literature, popularized in A Midsummer Night's Dream though appearing earlier in the form of Alberich in the German story of Siegfried. In Elf Mastery, Oberon is the ruler of the World of Order. He is a powerful creature imbued with great magic. His particular responsibilities are over the military, intelligence, and foreign relations, whereas his wife Titania oversees the judicial system and domestic policy. There is much overlap in their duties, however. Ogre: The earliest known ogre in literature is Grendel from Beowulf. Often represented in stories as large man-like creatures who eat children. In Elf Mastery they are large and brutish creatures, perhaps similar to Bigmouth from The Smurfs. Some ogres, such as General Agrimarch, turn out to be rather brilliant. Oort Cloud: (ort) The Oort cloud is theorized to be a spherical barrier of asteroids and icy particles that surrounds the solar system, effectively marking a border. In Elf Mastery it is the current realm of the slumbering Chaos, made of mist of disorganized rock and ice particles. Nyx, Chaos, and Erebus, and perhaps other long-forgotten followers of Chaos, have been kept at bay int he Oort cloud for million of years by the Star Stations. Opin: (OH pin) An elf boy at Equinox who goes to the Fall Ball with Aspen on a double date with Kyla and Ilian. Though Opin had no interest in the date, he was pressured into going after Aspen defeated his entire combat class in a fight with staffs. Orach: (OH rak) One of the earth elementals in Heff's crew at the center of the earth. 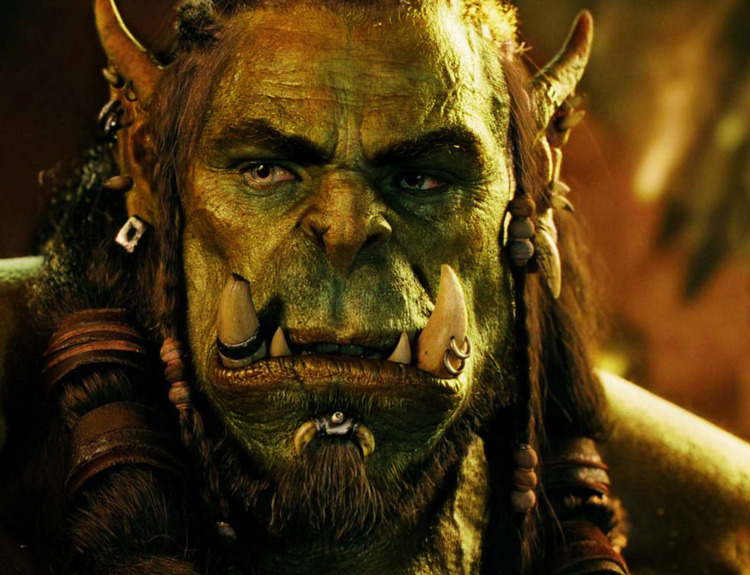 Orc: A fierce and evil humanoid creature popularized by J. R. R. Tolkien, which has become a staple of fantasy literature. In Elf Mastery Orcs are aggressive and love battle, and can be rather brutish, but are not necessarily evil. However, they are deemed as dangerous and have been known to eat the other races if food runs short. They are in fact cannibals, and have been known to eat their dead after battles in order to sustain themselves on long military campaigns. This, while true and frequently observed, is vehemently denied by orc apologists. Order: The World of Order is the one in which we live, based on laws and governed by King Oberon and Queen Titania. Order displaced Chaos, as many of the creatures that sprang up in the primordial void desired form and structure. Those who did not were pushed aside into what is now the Oort cloud. All fairies, elves, nymphs, and other mythical and magical creatures on earth play some role in the grand network that keeps the earth up and running.